WHY the letter k starts and ends the word Kodak? Rochester Fruit & Vegetable Company? 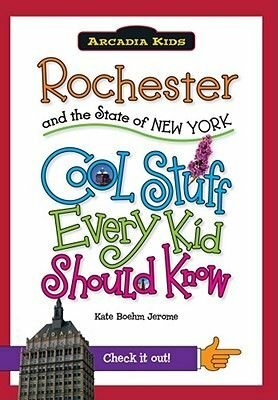 --an interesting little book about a very special place on the planet Arcadia Kids is a new series of fun, colorful, easy-to-read books for children ages 7-11 featuring attention-grabbing cover art, inviting conversational style content, and vivid full-color images of landmarks and geography. Parents, grandparents, and savvy shoppers will appreciate the feel good factor of purchasing books that are both fun AND educational.